This year's Mid-Autumn festival has become a lavish celebration for me, as it is my first time enjoying exquisite mooncake delicacies with premium French champagne. Such a rare experience is brought to us exclusively by Veuve Clicquot Ponsardin, the world's most prestigious French champagne house and our homegrown Grand Imperial Group of Restaurants. 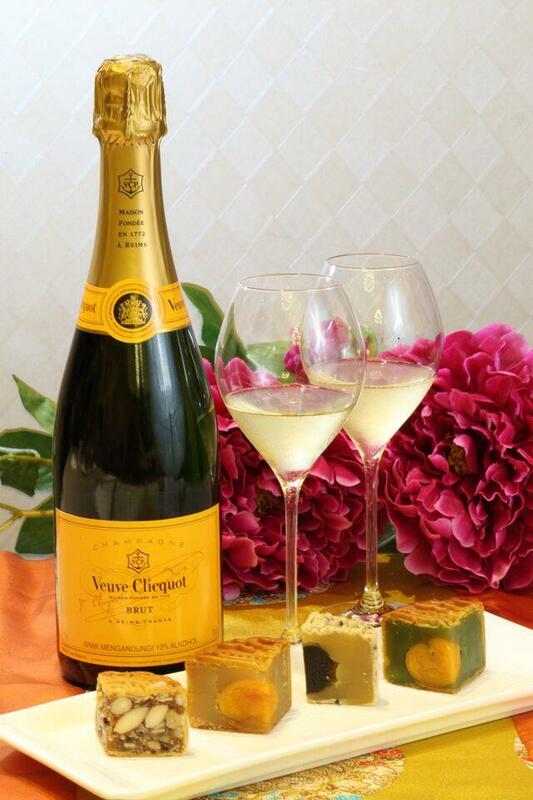 Having over 240 years history in champagne making, Veuve Clicquot champagne is now the world's second most popular champagne. And the Brut Yellow Label is indeed a love at first sight. Best served chill (8°-10°), the champagne exhibits beautiful, golden yellow reflections in the glass, with a fine and abundant mousse structure. Equally enjoyable on the nose, the fruity aroma is common at the outset, followed by notes of vanilla and brioche. On the palate, it is very crisp, full-bodied and refreshing, with subtle smoky characters that add layers to the champagne. How about an electrifying combination of French tradition and Chinese culture? To pair best with the champagne, talented chefs in Grand Imperial Restaurant have carefully crafted 4 lovely choices of mooncakes ranging from the basic white lotus mooncake, the perennially favorite pandan lotus single yolk mooncake and the ever popular assorted fruits, nuts with chicken bits mooncake. On top of that, Grand Imperial also offers modern variation that incorporates the goodness of almond and sesame into the traditional paste. The mooncake by itself, has strong milky-sweet flavour, and we enjoy the way the complexity of the champagne both complements and cuts through the sweetness of mooncake. 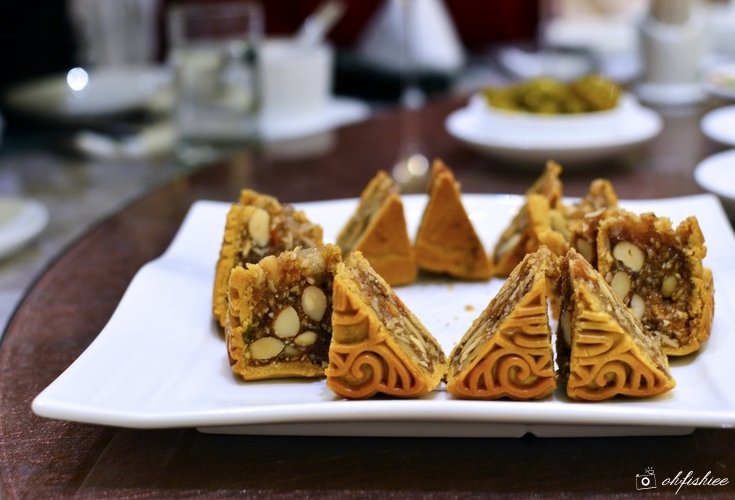 We are reminded that the mooncakes should be enjoyed in such a sequence so that they do not overwhelm the palate, hence the traditional white lotus with single yolk comes second. As the yolk is rather rich in flavour, it makes very good combination with the champagne to bring out its fruitiness and freshness. As for full-flavoured mooncake like the pandan lotus with egg yolk, I find that it makes the best combination with the champagne as the pandan flavour is intensified on the palate with a pronounced acidity of the champagne. It is the complexity that makes them a perfect match, resulting in an unparalleled tasting combination. Last but not least, here comes the old-school mooncake that your grandma probably loves very much. It is my personal favourite too because of its dense and chewy texture with the right amount of sweetness. 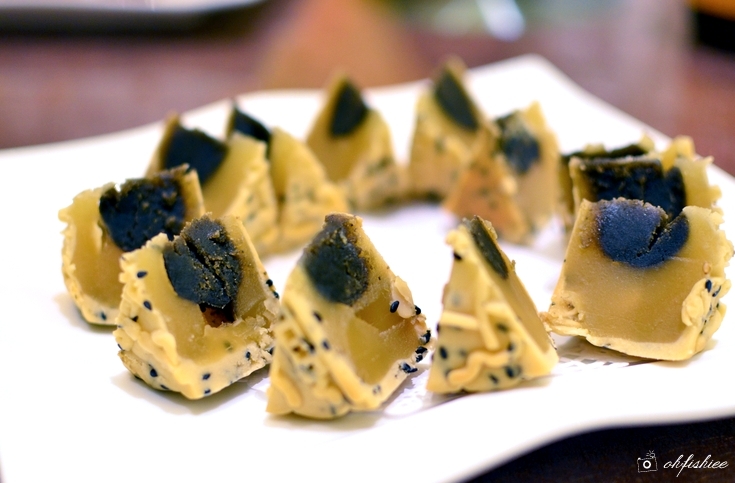 Moreover, the champagne has the structure and body to complement the flavours of chicken bits, allowing one to enjoy both the mooncake and champagne without one overpowering the other. 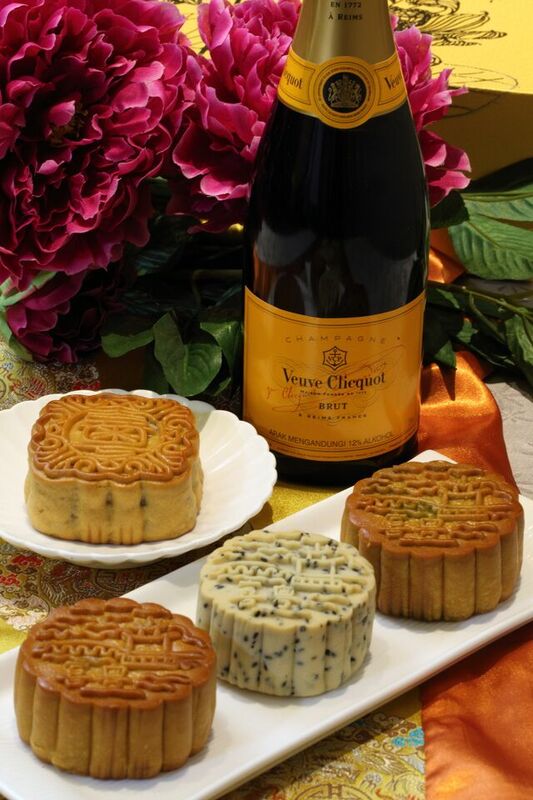 Overall, mooncake is an exciting new pairing to try among champagne connoisseurs and mooncake lovers. If you've been thinking that champagne should only be enjoyed as an aperitif, then it's time to try out something different and make your mid-autumn festival a memorable one. wow, i didn't try champaign + mooncake eat together before..